The 2nd concert of the Highlands Summer Concert Series was rescheduled due to rain. The 1st Apostolic Church of Highlands will be presenting an evening of Gospel Music this Saturday, August 5th from 6:30 pm to 9:30 pm. Come out and enjoy a great time. Bring your friends, family and a lawn chair. Food and Drinks will be available. 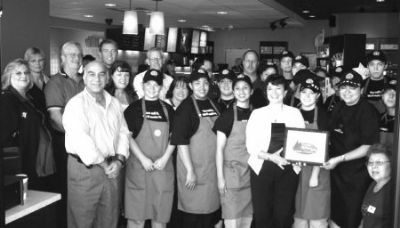 The Crosby/Huffman Chamber of Commerce welcomed Starbucks Coffee as a new member on Thursday, June 1. The beverage company will technically be the first business encountered North of US 90 in the Northbound direction. Camille Chehayeb of Crosby Choice Group developed the new strip center. Full Details are available in the print edition. 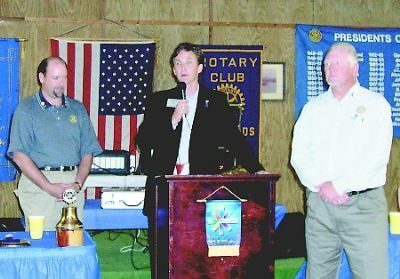 HIGHLANDS The Rotary club installed its new president Johnny Gaeke at a banquet held at the Baytown Boat Club last Friday night. In charge of the installation was District Governor elect Jeff Tallas. Also installed for the 2006-2007 were president elect Charlie Ward, secretary Lisa Vickers, treasurer Jeremy Rosenkranz, sergeants at arms Robert Woodall and deputy Steve Miller, Directors Weston Cotten, Dr. Larry White, Sam Al-Rasheed, Tom Hill, and Gil Hoffman. Outgoing president Steve Miller reviewed the accomplishments of his term, which was honored by the 57 club District 5890 by naming Miller Club President of the Year. 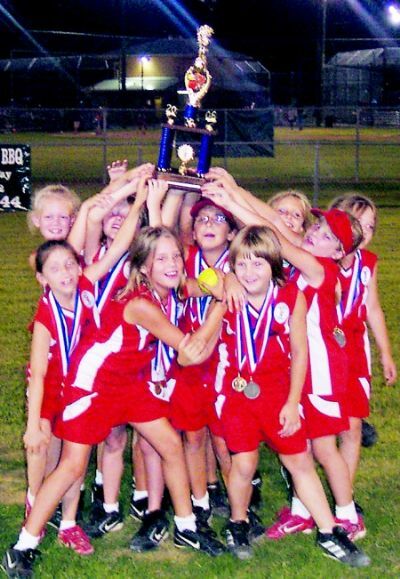 These activities include a record setting Chili Feast fund raiser, relief for hurricane Katrina and Rita evacuees, support of the local food pantry, the Chinquapin Interact club, Boy Scouts, and Stratford Library. COSTA RICA It was supposed to be a happy break from work for Crosby State Bank CEO Mark Mulloy, but it turned into an event that he will remember for his whole life. Mulloy was with his family and some friends in Costa Rica, and had planned on a hike into a rain forest last Wednesday, June 21, as part of their tour package. They had invited another Houston group, including Sheryl Roppolo who they had met at the airport on the way from Houston. Mark knew Roppolo already, since she was the chief clerk for many years in Judge Mike Parrotts office. The group of family and friends numbered about 13. As they proceeded up the trail, Roppolo began to feel bad, and mentioned this to the group. A few feet farther, and she fell, gasping and looking sick. When Mulloy caught up with her, he saw that she was desperate, and thought it might be a heart attack. Mulloys father is a doctor in Channelview, and years ago Mark had learned CPR from him. With the help of Terry Thomas from Huffman, who was also in the group, he began CPR. They applied pressure on her chest, breathed air into her mouth, and raised her feet. At first Roppolo did not respond, and did not seem to be breathing. But after working on her for a while, they heard her breath, and she looked better. They carried her down the trail to a car that took her to the village of Jaco, where they all were staying. There, medical personnel at a clinic stabilized her, put her on an IV, and prepared to transfer her to a large hospital in the capital city of San Jose. On Saturday of last week, Roppolo felt well enough to take an airplane from Costa Rica back to Houston. She is now recovering in Methodist Hospital, where it was reported that she would undergo additional treatment for her heart. Up until the event in the jungle, she did not know of any heart problems, although earlier in the trip she had felt some signs. The Mulloy and Thomas families, both from this area, were able to continue their vacation without any additional excitement. Remarkably, Mulloy was called upon once before to use his CPR training. 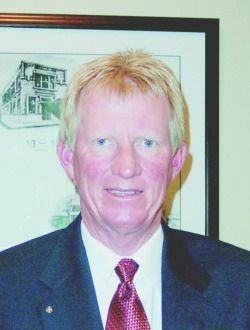 About two years ago, while golfing in Atascocita, his golf partner had a heart attack and Mark administered first aid. However, in this case the attack was too severe and Mulloy was not able to save his life. Mulloy noted that many people have learned CPR, a critical time saver and life saver in these situations. Training is available from the Red Cross in approved classes. In Highlands, CPR classes are organized by the Fire Department, and this year the Rotary Club plans to sponsor a training session too. HIGHLANDSAfter months of meetings and an expected $2.7 million cost overrun, construction of the new Highlands Junior School is expected to begin next week. David Fluker, director of facilities and construction for Goose Creek CISD, said that Morganti of Texas construction company is supposed to begin work on June 20. The construction timeline has the school being ready for occupancy in October 2007. Fluker said that students would use the current building for the start of the 2007 school year, then move into the new building as soon as it is completed. The new school will be approximately 167,000 square feet and will house 1,024 students. By comparison, Highlands Junior is roughly 140,000 square feet and holds just over 800 students. 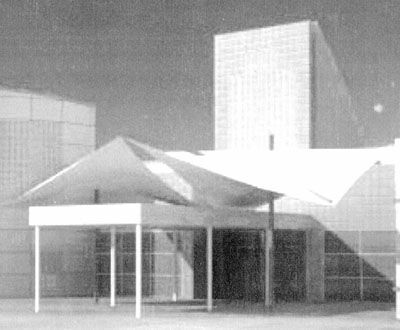 The current gymnasium is expected to be used for the new campus. There has been some discussion about the future of the auditorium. Board Trustee Weston Cotton, whose district includes Highlands, said the district has spent so much to upgrade the facility it would be a waste to replace it. The junior high is the largest part of a $220.5 million bond package approved by voters in April 2005. Fluker said the cost overruns were due primarily to inflation. Hurricanes Katrina and Rita, as well as other factors world-wide have created shortages in metal, petroleum-based products and especially in wiring components which have driven up costs throughout the construction industry, he added. The overruns, however, are not expected to have a large impact on Goose Creeks budget. The district has discovered that another project, which includes a yet-to-be named 14th elementary school and improvements at Bowie Elementary, is expected to come in 2.45 million under budget. The new elementary will be built in the Eastpoint section of Baytown, near I-10 and Garth Road. Construction is also expected to start next week, with the school coming on-line for the start of the 2007 school year. Goose Creek is also busy with renovations at Stallworth Stadium. The construction company Satterfield & Pontikas was hired to replace the press box at the stadium, install an elevator to the press box and make other upgrades that would bring the facility into compliance with the federal Americans with Disabilities Act. Like the Highlands Jr. School project the stadium came in over budget, at $1.5 million, approximtely $600,000 more than planned. 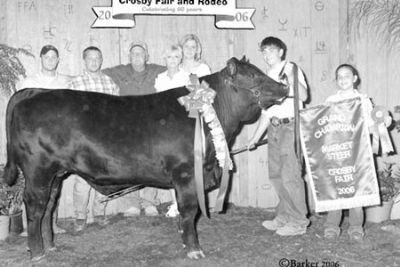 CROSBY  The 60th Annual Crosby Fair & Rodeo hit all the goals set and raised $180,141.90 at the livestock auction before all of the re-donations. This year a number of new features were added to the addendum and appear to have blossomed into new venues for growth. This year, Shriners Night was opening night, June 8, of the Fair & Rodeo Show. The Crosby Fair & Rodeo Association donated 50¢ from every ticket to the local Shriners hospital and all Shriners were requested to wear their fez. Kevin Fowler performed a rollicking concert to the largest yet Thursday night attendance. Friday was Tough Enough to Wear Pink night for the first time. The American Cancer Society received $713 to go to breast cancer awareness. San Jacinto Methodist Hospital and Community Resource Credit Union sold varied tough enough to wear pink items and received donations for the cause. According to Shirley Rogers, It will grow. Trent Willmon and Earl Conley could not have been more diverse in music styles but both were engaging and fun. Saturday night was a packed house with the final of the rodeo sport, John Keating Chevrolet and Friendly Ford of Crosby teamed up to give away a 4 Wheeler to a regular rodeo ticket holder. That turned out to be Misty Jones of Huffman. The action was fast and furious until Aaron Watson played endlessly, songs like the Ballad of the Dukes of Hazard. Finally, Cory Morrow came out and wowed the crowd with entertainment and rockin country for couples to dance. The motivation for the rodeos continued success is to help deserving youngsters to fund higher education through scholarships. Since 1991, $137,000 has been awarded in scholarships not counting the Livestock Auction in which fullly 9% of the auction goes to the youth raising the livestock. This year Wade Armstrong was a scholarship recipient and a Senior Top Hand. Other Scholarship recipients were Carlos Medina, Scott Holmelin, Trey Patterson and Tyler Michalsky. The Junior Top hand this year was Amber Greene. The Crosby Fair & Rodeo grants 5 scholarships of $2000 per year. HIGHLANDS Chamber of Commerce members were thrilled to have as featured speaker at their monthly luncheon, the great grandson of Texas hero Sam Houston. This was Sam Houston IV, who entertained the large crowd at the San Jacinto Community Center with stories of his youth, and the fables that followed members of his family over the years. Unlike his father, and greatgrandfather, all named Sam Houston, this one spent his life as a salesman for U.S. Steel, and his historical background extends as far as being past president of the Sons of the Republic of Texas. Houston was an entertaining speaker, but surprised the audience by spending his time telling tales of his father, a horse cavalry soldier in WWI, and a professional polo player who along with Will Rogers son, won the national championship and the so-named Will Rogers cup. Part of the message of Houstons stories, was the importance of knowing and honoring our history. Sam Houston III, his son mentioned, is buried in the memorial cemetery at the San Jacinto Battleground. 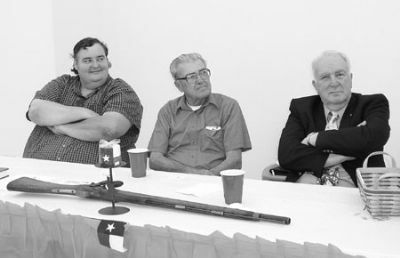 Another historical story related at the meeting was the acquisition by Highlands Gary Wiggins of an original 19th century flintlock musket from the battle of San Jacinto. This Escopedo Musket, made in Britain prior to 1812, has the Mexican Seal on it so it was obviously captured in the battle. Wiggins said that only 12 of these now are known to exist, although it is thought that 600 were captured during the battle. He indicated that this gun will be a centerpiece of the proposed Heritage Museum in Highlands. After the meeting, admirers asked for autographs from Sam Houston IV, in recognition of his long family history. Refer to Print edition for Details.